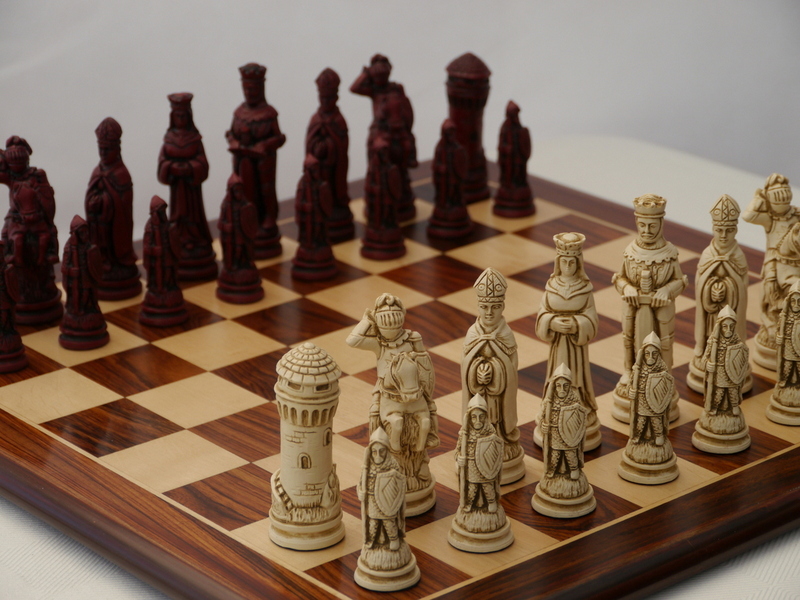 This product from Chess Baron: Made in England by Berkeley Chess Ltd. 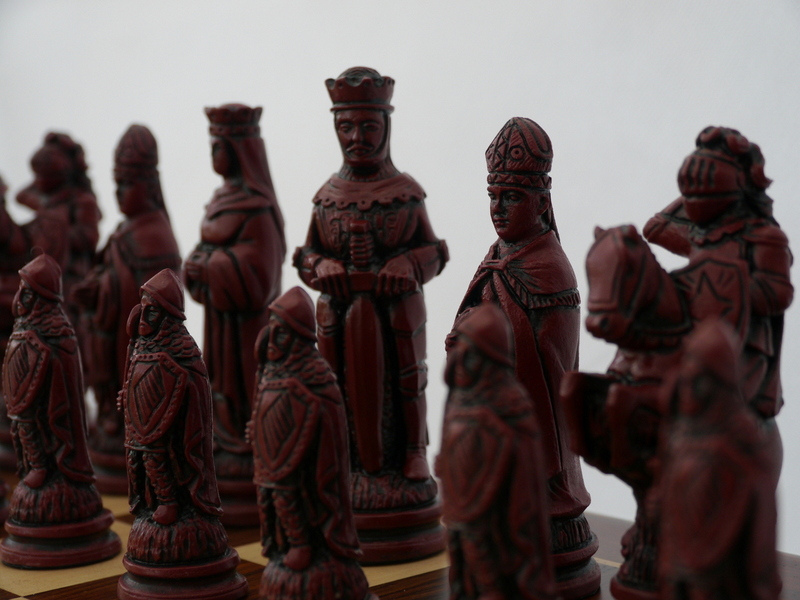 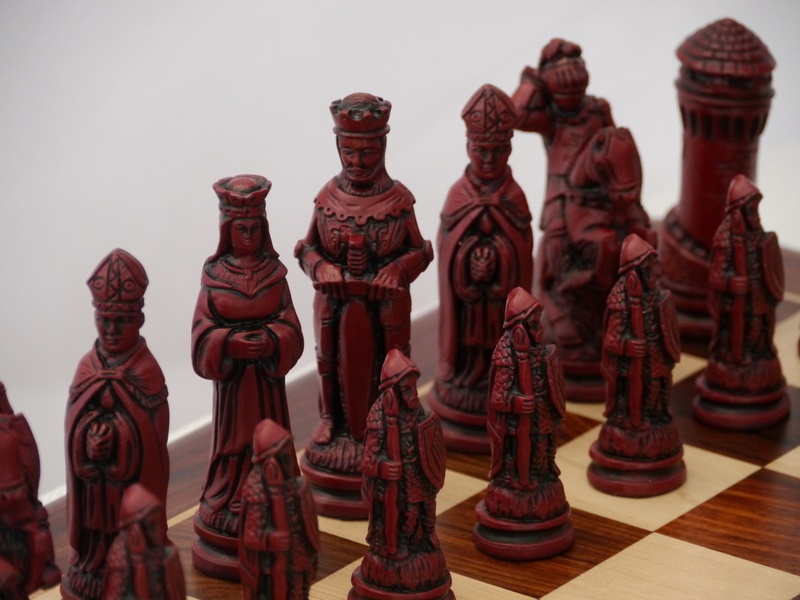 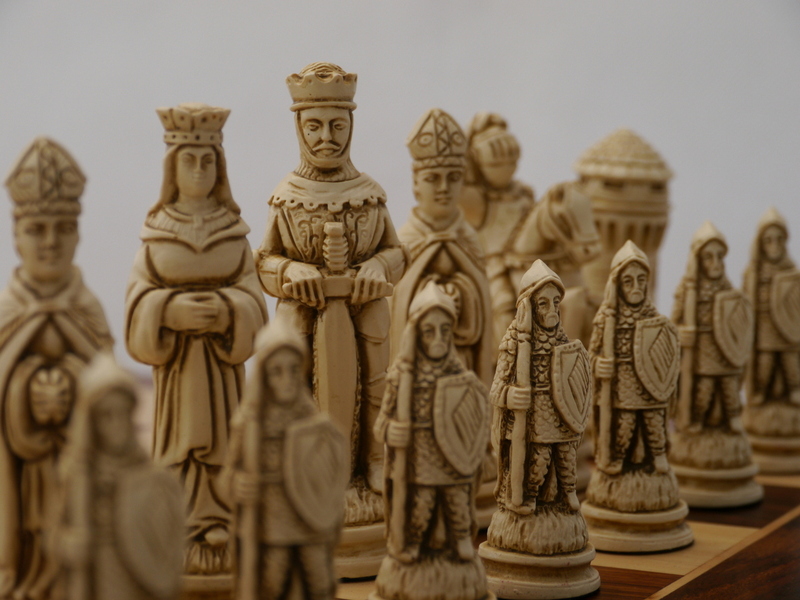 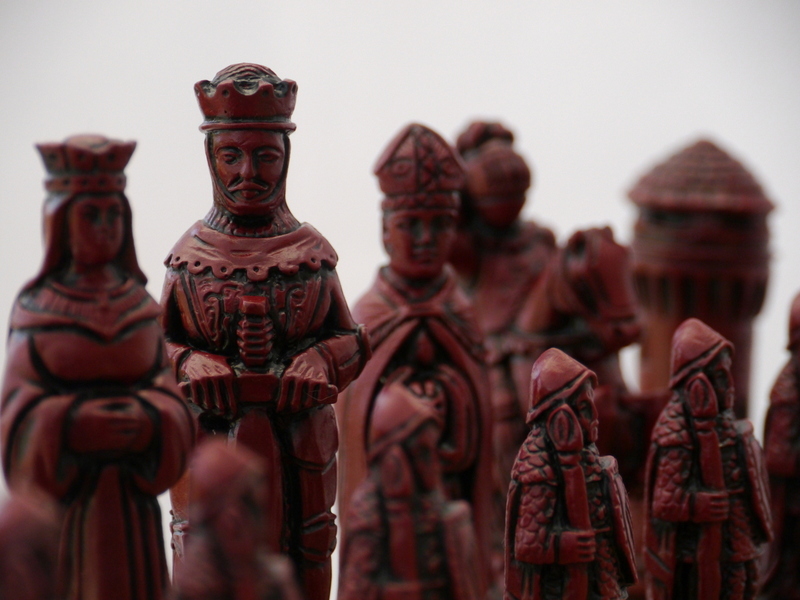 Heavily weighted Camelot RED chess set made fron crushed marble and high quality resin. 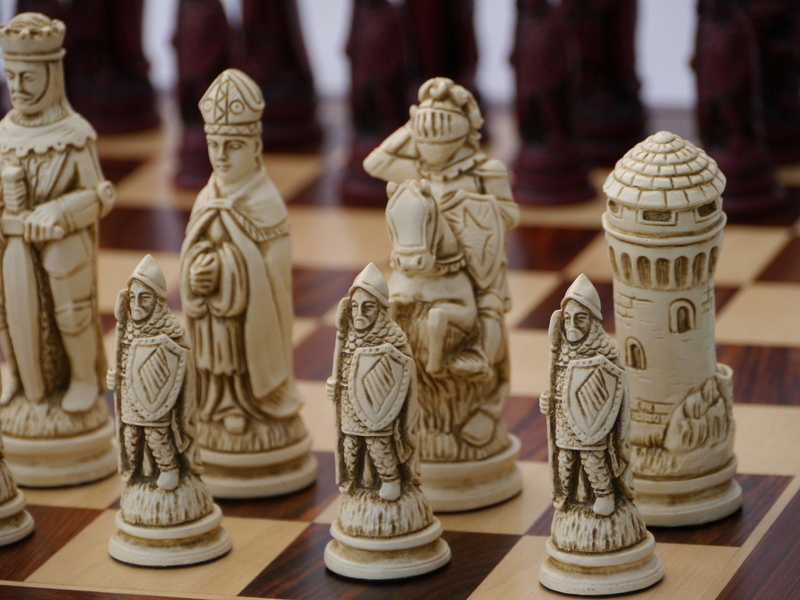 The legend is that from Camelot, King Arthur successfully defended England from the Saxons. 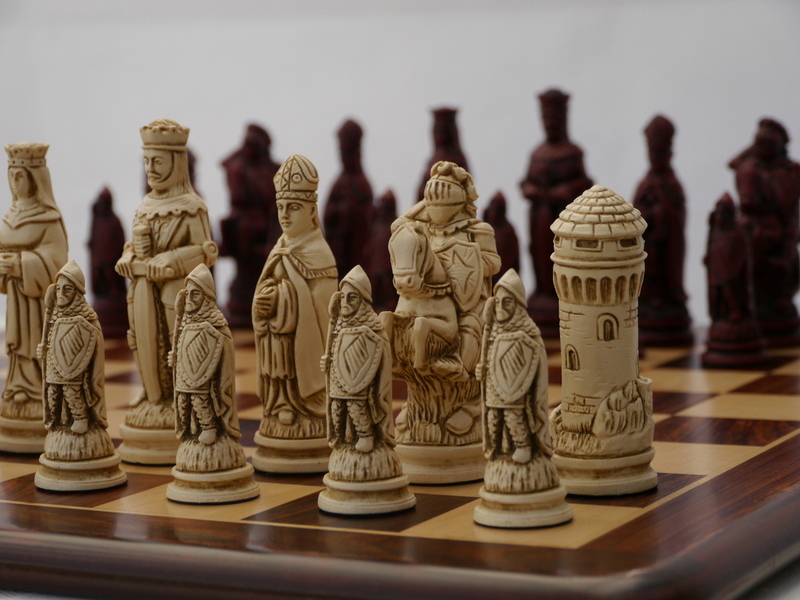 For many Camelot is symbolic of the beginning of the English royal court, where our first modern values and identity were born, giving us the ability to unite and defend our lands. 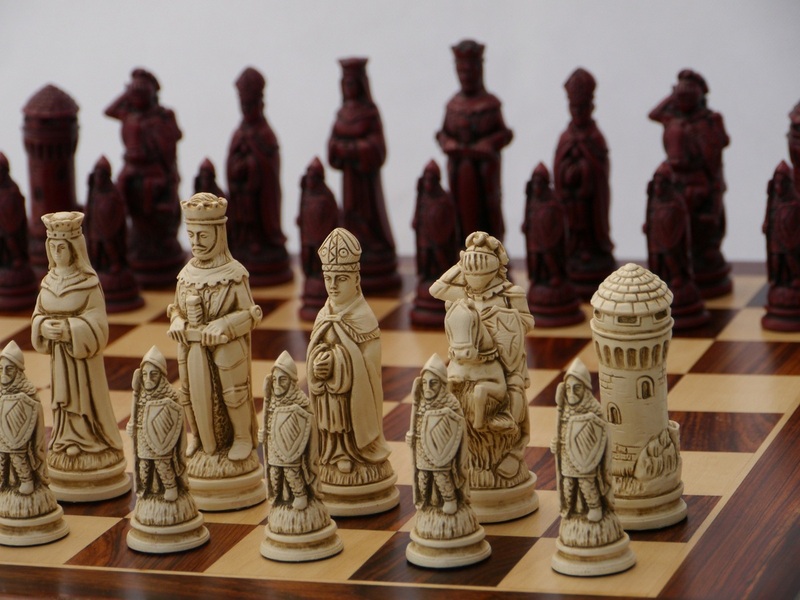 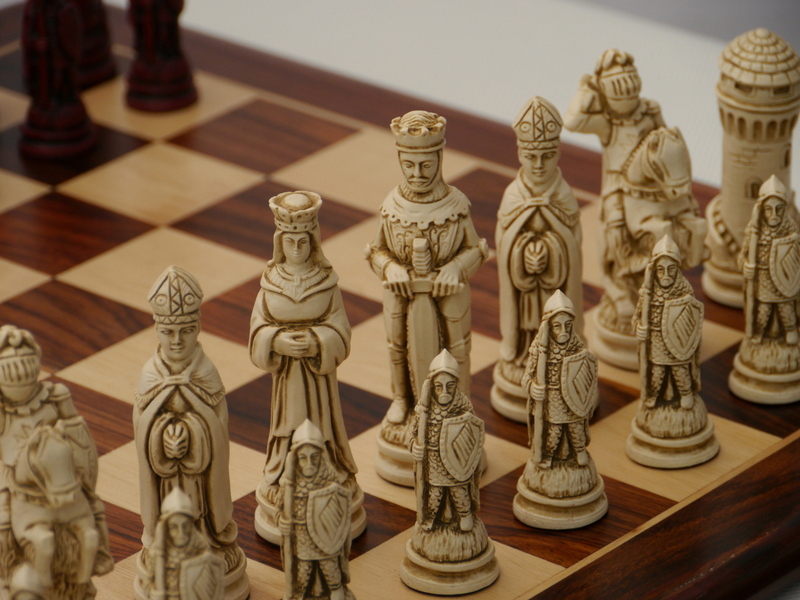 This Camelot Chess Set has been designed and made in England, sculpted in a romantic style based on the legend of the court of King Arthur. 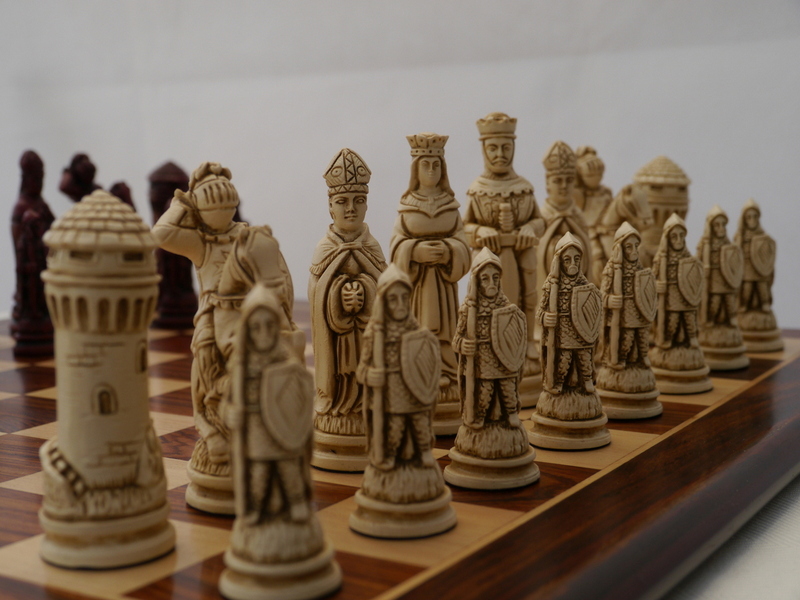 The King is King Arthur, and the Queen is of course, Lady Guinevere.